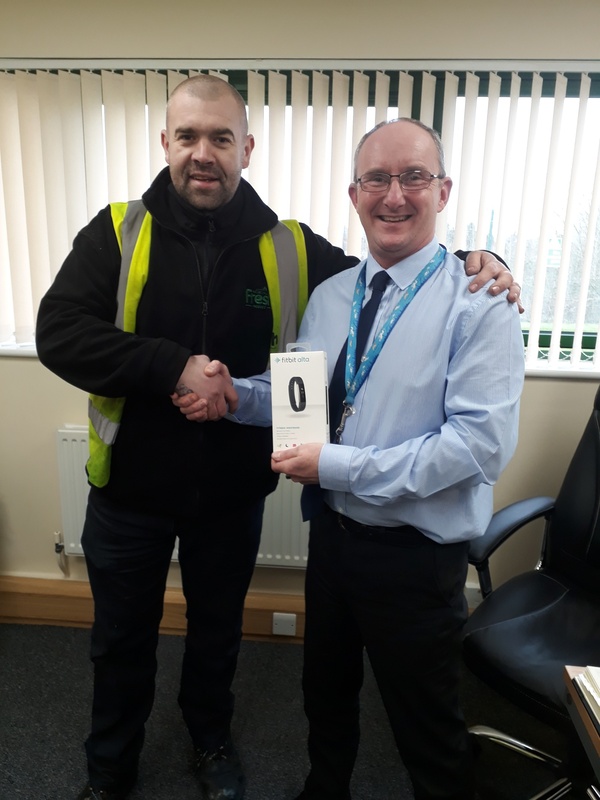 Congratulations to Marian Dawson, winner of the first ‘Safety Starts With Me’ monthly award. Marian works in our Goods In department and has displayed at least 3 positive safety behaviours within the work place. 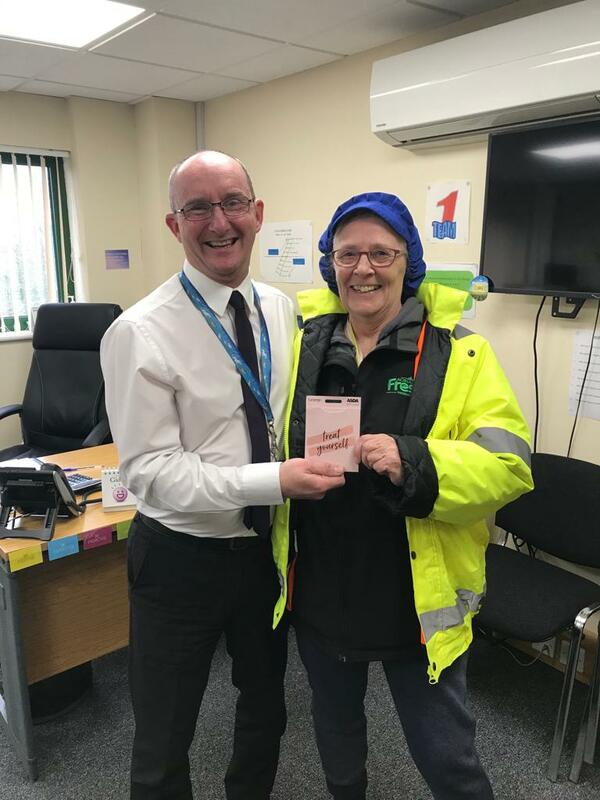 Dave Rawstron Site Manager presented Marian with an Asda voucher in recognition of her achievement.